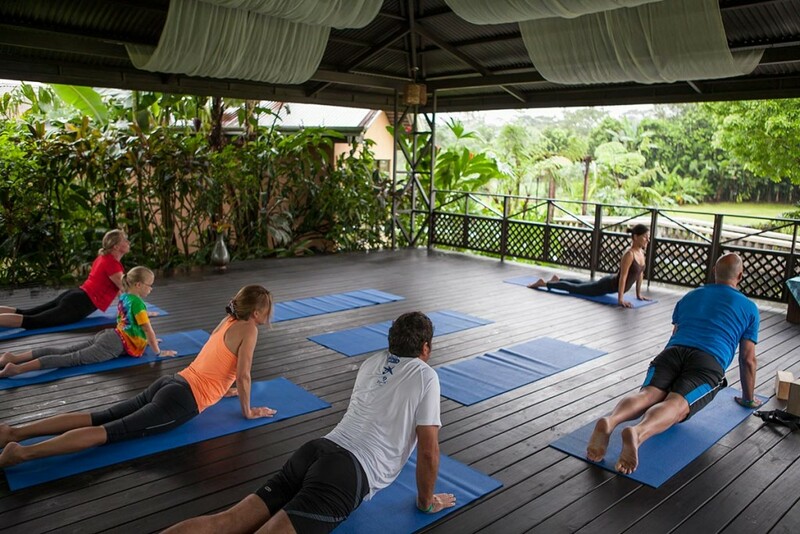 As an added service for our guests, we offer complimentary yoga classes every day from 6:30 am to 7:30am. Help you to find your inner peace. 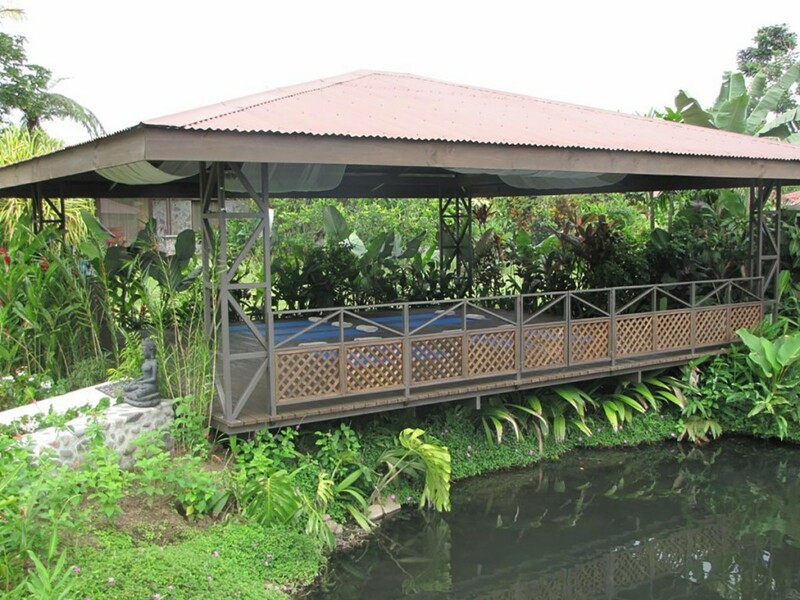 These classes, held in our exclusive open –air gazebo, are designed to help our guests achieve complete well-being and peace. 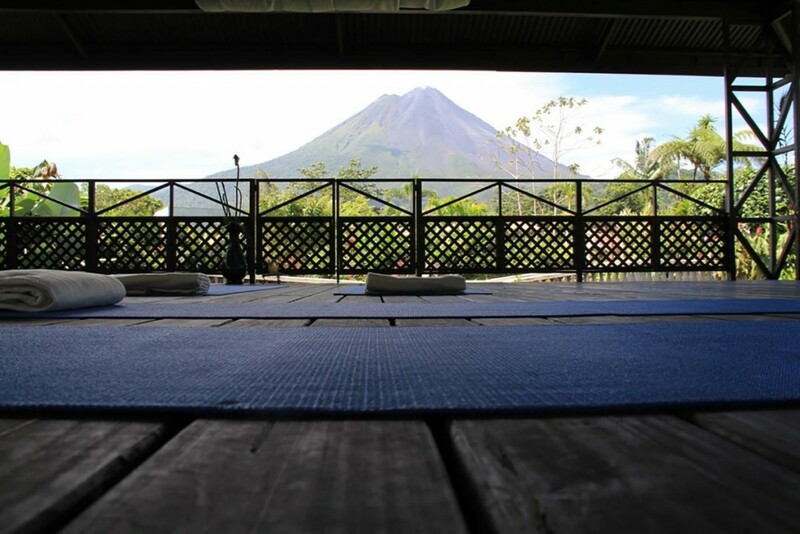 Our certified bilingual instructor adapts each class to the level of the participants. 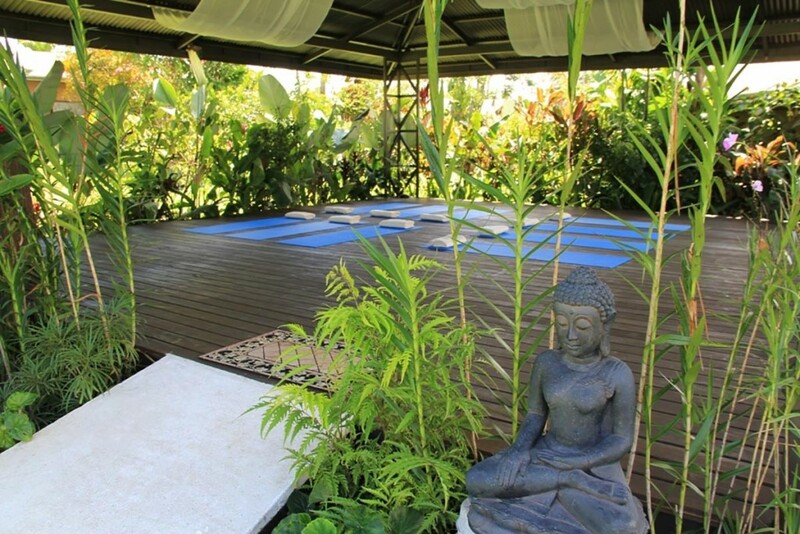 The dark wood floors, high ceilings, incense, and natural surroundings all help you to find your inner peace. The practice of yoga makes the body strong and flexible; it also improves the functioning of the respiratory, circulatory, digestive, and hormonal systems. 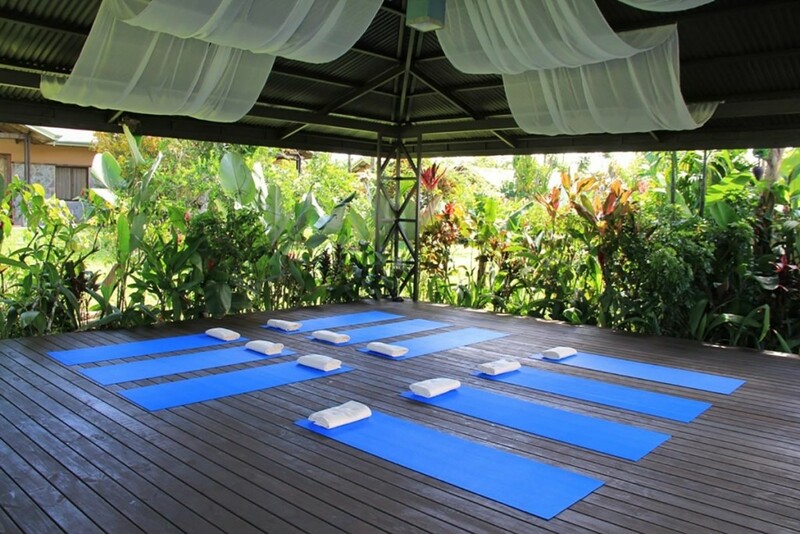 Yoga brings about emotional stability and clarity of mind. The beauty about yoga is that it is available to anyone, regardless of their age, gender, or physical limitations, the whole point is to only do what feels good. Recommendations for the practice of Yoga. It is best to practice yoga on an empty stomach, if is not possible eat no less than 1 to 3 hours before and drink only amounts of water before practice. If you have any special physical condition talk to your doctor before you start an exercise program. What type of Yoga we will practice? 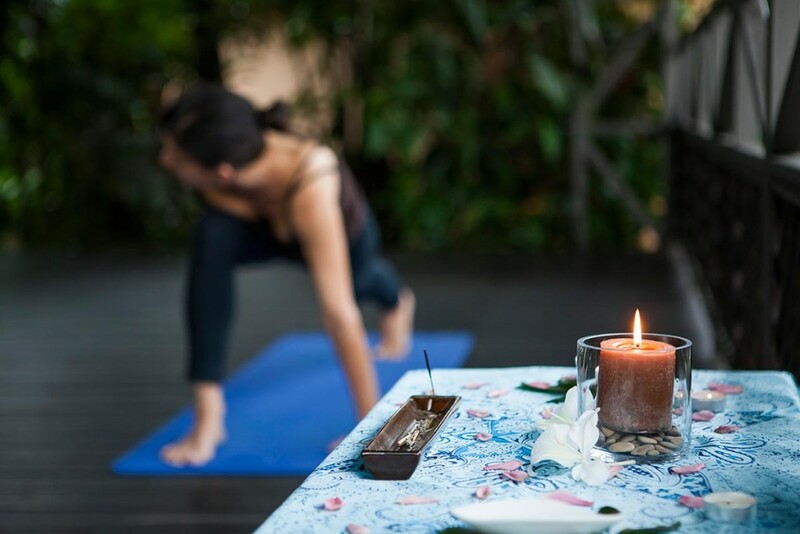 Hatha Yoga with Vinyasa; When a class is marketed as hatha, it generally means that you will get a gentle introduction to the most basic yoga postures and vinyasa classes are known for their fluid, movement-intensive practices. Vinyasa teachers choreograph their classes to smoothly transition from pose to pose, and often play music to keep things lively.